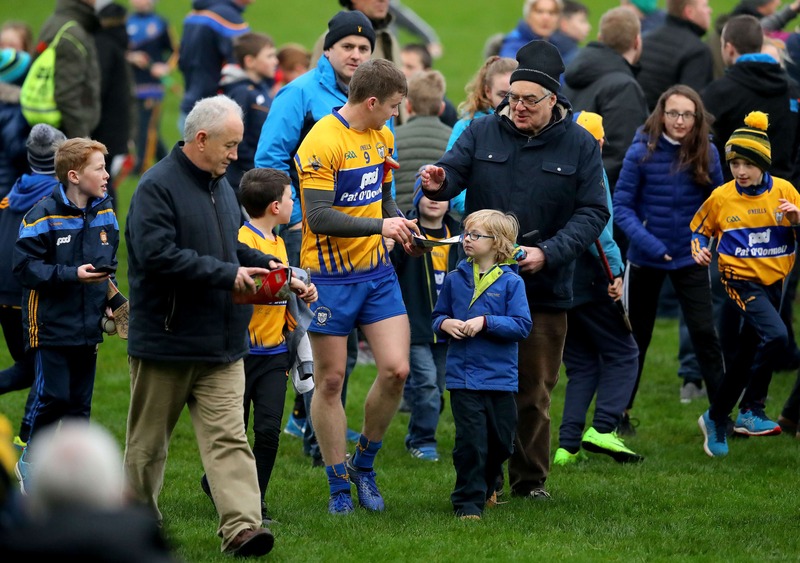 With only two weeks left until the beginning of the Allianz National Football and Hurling leagues, today was another chance for managers to see their teams in action. Here is a round-up of all of the GAA preseason results. The Banner county secured a 4-20 to 1-18 win over neighbours, Tipperary, to claim silverware in the Co-Op Superstores Munster Senior Hurling League. Tipp had flown into a four-point lead through Seamus Callanan and Jason Forde but Clare soon took advantage of their struggling full-back line, firing in long balls to great effect. Two goals in the space of 10 minutes from Cathal McInerney and Tony Kelly set Clare on their way and when Kelly and Colin Guilfoyle added two more, there was no way back for the Premier County. Seven points from Paudie Foley helped Wexford to a 0-16 to -13 win over Kilkenny to reach the Walsh Cup final this afternoon in Bellefield. Foley levelled the game after eight minutes following points from Conor Fogarty and Luke Scanlon and Harry Kehoe fired them into a one-point lead at half time. Both sides were reduced to 14 men shortly after the break as Liam Blanchfield and Jack O’Connor saw red for a scuffle. Martin Keoghan hit Kilkenny into a one-point lead but it was all Wexford from there as further points from Aidan Nolan, Diarmuid O’Keeffe and Foley, secured the win. 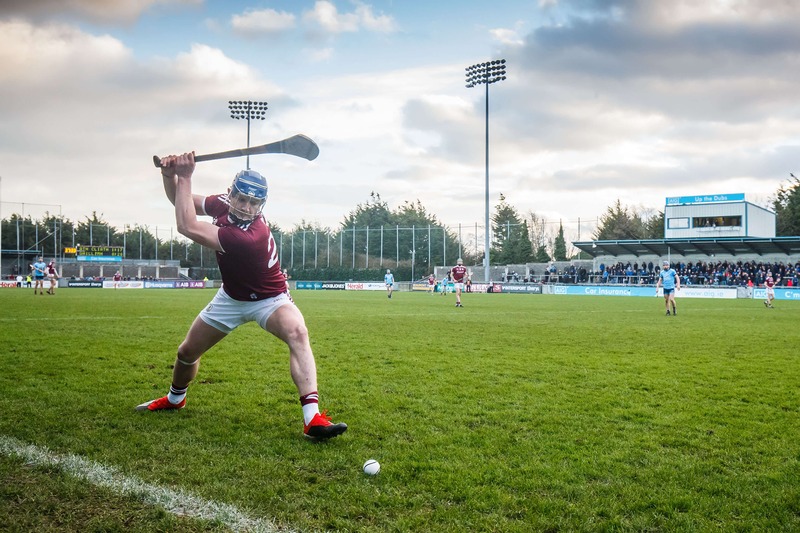 It took a pointed sideline from substitute, Joe Canning, in the dying seconds for Galway to register a 0-21 to 1-17 win over Dublin in the other Walsh Cup semi-final in Parnell Park today. In their first outing of the year, Galway looked to be sailing to victory when they led 0-18 to 0-10 mid-way through the second half, thanks to points from Cathal Mannion, Brian Concannon and Sean Blehane. Yet, Dublin refused to lie down and a stunning comeback, during which they scored 1-7, saw them level before Canning fired over the winner. Five points from the boot of substitute, Peter Harte, secured a 0-14 to 1-8 win for Tyrone over Derry, and a place in the McKenna Cup final. The sides were level at the break, thanks to early points from Christopher Bradley before Ruairi Sludden and Ronan O’Neill replied for Mickey Harte’s side. Patrick Coney scored the only goal of the game after 45 minutes but a strong finish from Tyrone, through Harte, ensured the win was never in doubt. Tyrone will face Armagh in the McKenna Cup final next week after a strong display from the Orchard County saw them grind out a 0-14 to 1-10 win over Donegal in Healy Park this afternoon. 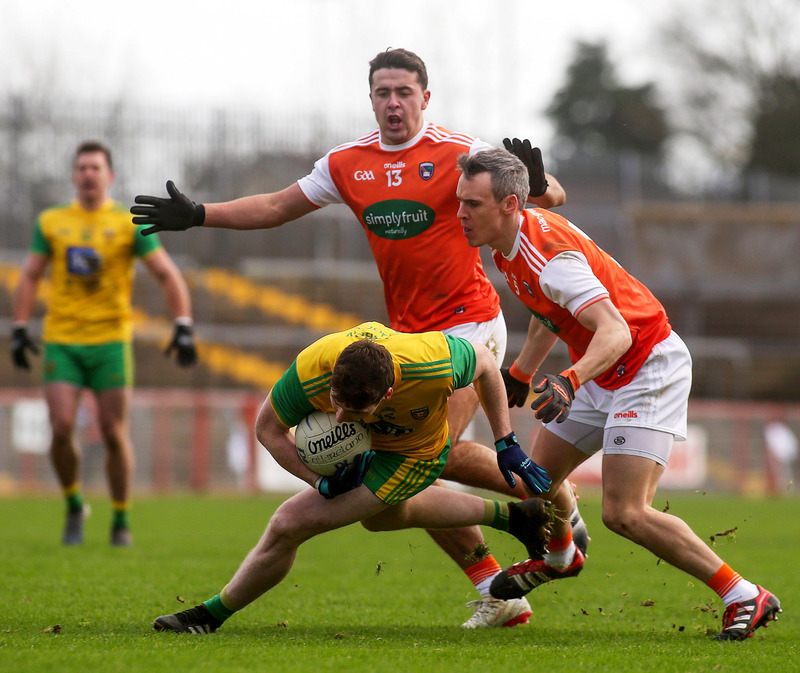 The sides were level on numerous occasions but Donegal looked to have broken that trend when Jason McGee fisted in the only goal of the game. However, Armagh soon drew level again through Niall Grimley and Rory Grugan. The sides traded scores before Grugan notched his side one ahead and Donegal failed to find the equaliser before the final whistle. 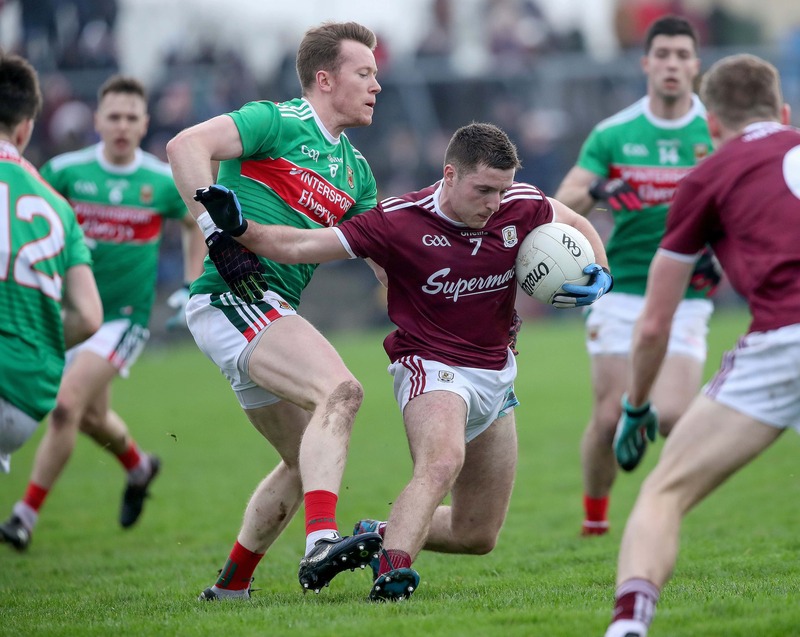 A penalty shootout was once again called into action in the Connacht FBD League as Mayo and Galway fought out a 1-9 apiece result in normal time, with Galway eventually progressing to the final, 4-2. A goal from Jason Doherty helped James Horan’s side to a 1-5 to 0-3 lead at half-time but Galway battled back well and a late goal from Barry McHugh sent the game to the penalty shootout. Their goalkeeper, Maghnus Breathnach, was particularly impressive, saving attempts from Diarmuid O’Connor and Andy Moran while Liam Silke, Johnny Heaney, McHugh and Tom Flynn were all on target with their efforts. Anthony Cunningham got his reign as Roscommon manager off to a positive start as they secured a 2-18 to 1-16 win over Sligo to reach the Connacht FBD League Final. Niall Murphy notched up an eye-catching 1-6 for the Yeats County in the first half, including a penalty, and despite a goal from Shane Killoran, they enjoyed a four-point lead at half-time. Roscommon soon clawed their way back into the game through Donie Smith and Niall Kilroy before Enda Smith struck for their vital second goal in the 49th minute. The Rossies finished strongly through substitute, Colin Compton, to ensure the win.